Palin's personal e-mail was reportedly hacked Wednesday. (CNN) - John McCain's campaign said Wednesday it has contacted "appropriate authorities" over a report that Republican VP candidate Sarah Palin's personal e-mail had been hacked. "This is a shocking invasion of the Governor's privacy and a violation of law," campaign manager Rick Davis said in a statement. "The matter has been turned over to the appropriate authorities and we hope that anyone in possession of these emails will destroy them. We will have no further comment." The statement came hours after a user on the Web site WikiLeaks said he had gained access to Palin's Yahoo e-mail account and gained access. Screenshots of the e-mail messages and photos of the Alaska governor's family were published on that Web site and later on gossip Web site gawker.com. FBI Spokesman Eric Gonzalez in Anchorage, Alaska confirms to CNN an investigation is underway. "We are aware of the allegations and we are coordinating with Secret Service as far as the allegation that someone has hacked into Governor Palin's personal e-mail account," he said. "We are going to be working a joint investigation with Secret Service on this." Brian Hale, an FBI spokesman in Washington, also confirms the FBI has been contacted about the incident. Two federal law enforcement sources say the FBI and Secret Service would have concurrent jurisdiction normally on a matter such as this, but it remains to be seen if the Secret Service will take the lead on the investigation because Palin is a protectee. 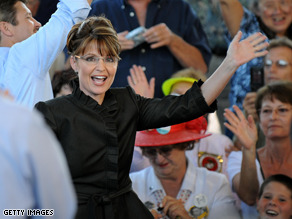 The e-mails shown include one from July between Palin and Alaska Lt. Gov. Sean Parnell and another dated earlier this week from Amy McCorkell, the woman Palin appointed to the Governor's Advisory Board on Alcoholism and Drug Abuse in 2007. Palin has faced criticism for using a private e-mail account to conduct some state business - prompting critics to allege she was attempting to hide information from the public record. Notice the McCain campaign trying to NOT talk about the economy, NOT talk about the last 8 years, not talk about how the Bush Administration is at the very least partly responsible for this mess. We are witnessing the decline of America. Hold on. Um–Dennis, Obama is smart enough not to put private matters on a yahoo email. Probably a plant from the McCain campaign. I wonder how many other Governors use a private e-mail account to conduct some state business in secret, and cc hundreds of emails to there spouse on executive business?!? open gov't my ars. SP...stands for secret person. Is it just me or is it that everytime I turn around there is more drama linked to this women. Everything is always so secretive with her. I am so tired of hearing all the drama over Sarah Palin...I think she has now won over my teenage daughters dramatic life. Why in the world do we want somebody like this in a major position in our nation? Or....is this just...MORE OF THE SAME? Give her a rest and she will fade away just like the famous "Lipstick" does!! !